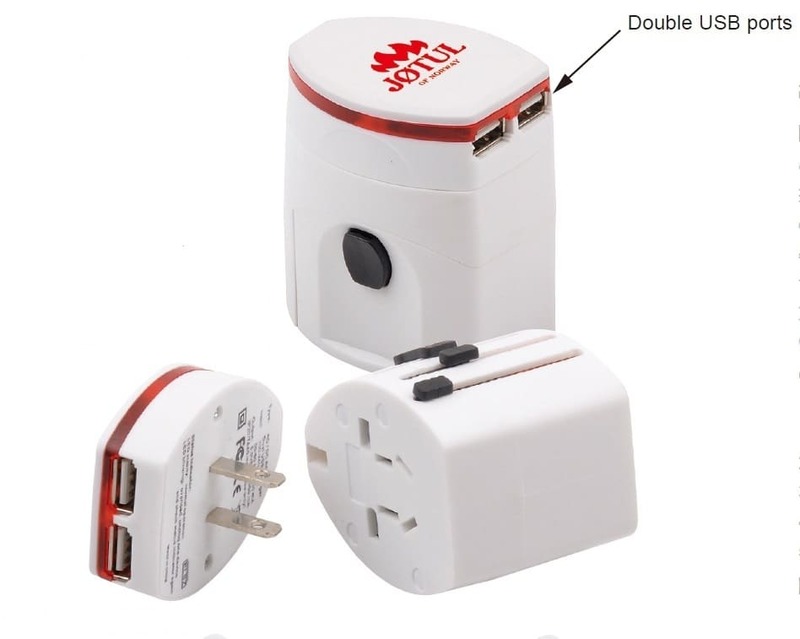 Ablaze Light-up Universal Travel Adapter with USB is the real travelling companion. It makes charging your devices so convenient! The Ablaze is compatible with US, UK, EU, and AU outlets, and lights up while being used! Charge up to 2 devices at the same time, and easily switch from 110 to 220 volts.